First Cross Country Runner from CVHS to qualify for State Championship Meet. 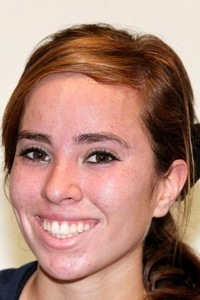 San Bernardino County Runner of the Year. Holds 2nd Best County time in History for Mt.Sac Course and 3rd Best County Time in History on State Woodward Park Course. Superstition: Always knock on wood!